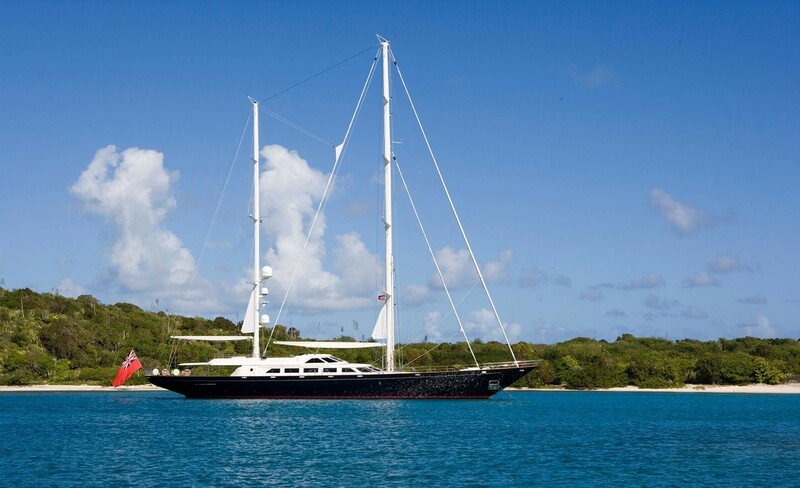 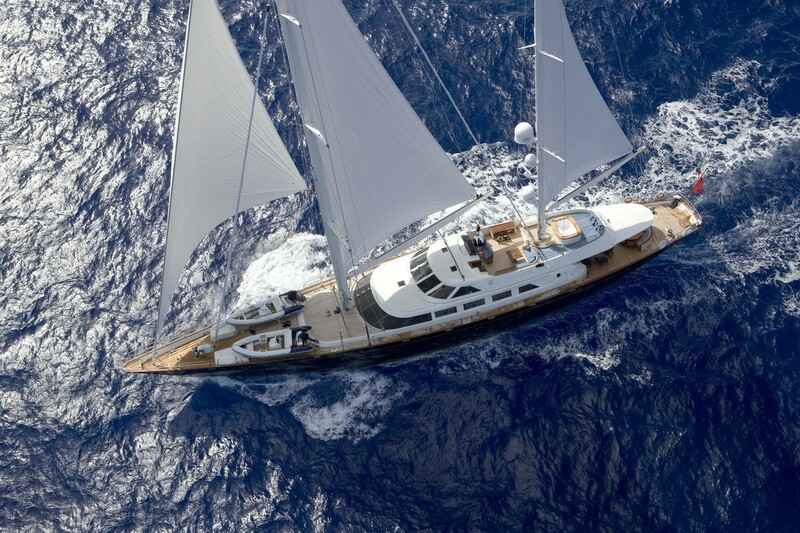 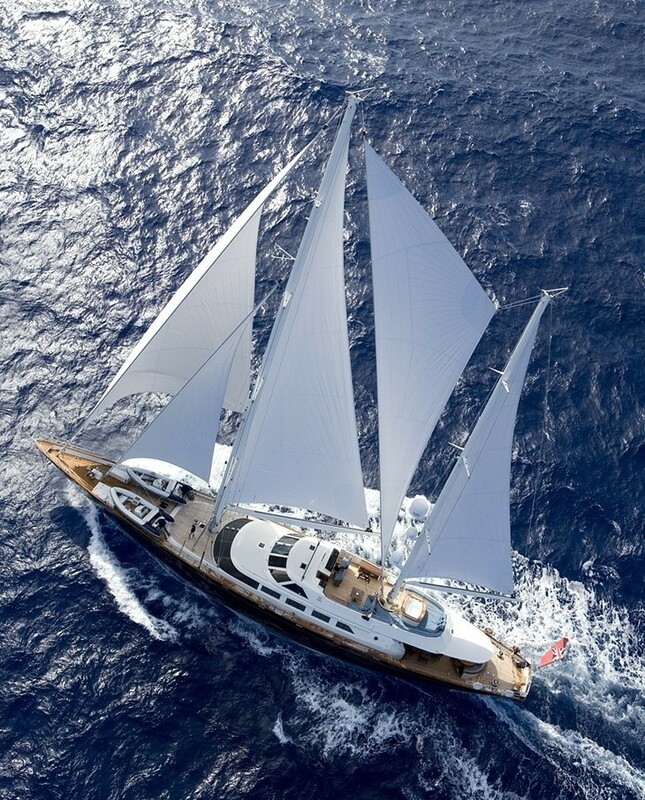 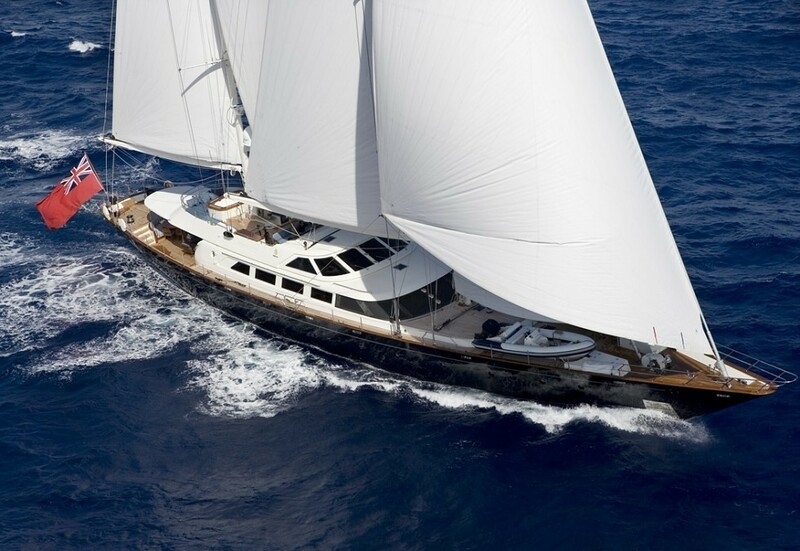 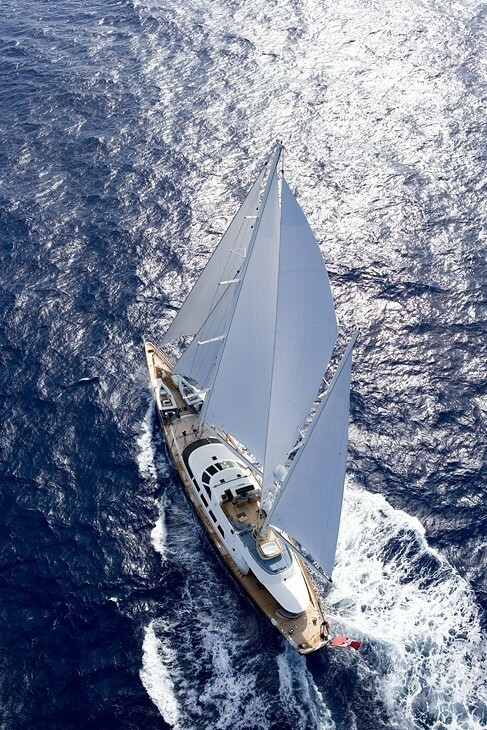 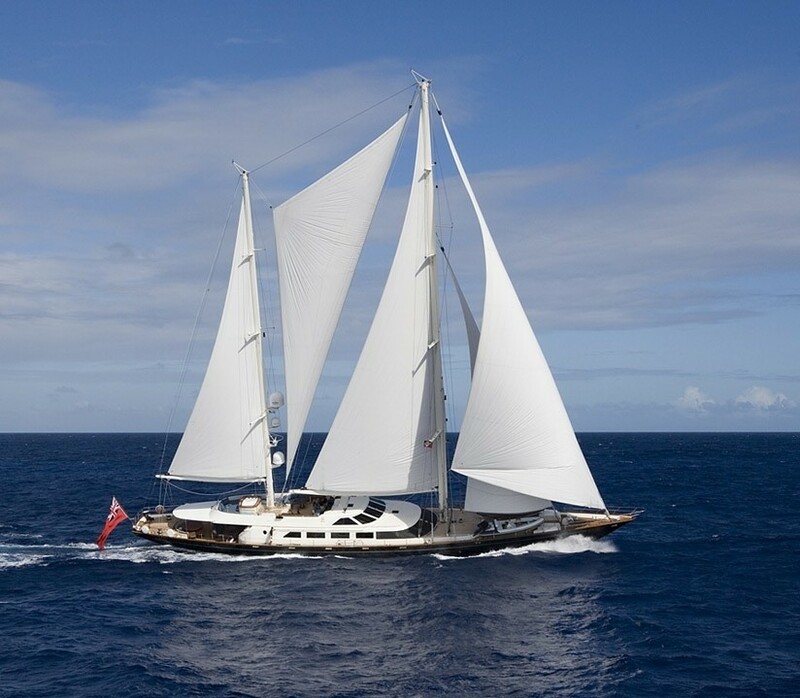 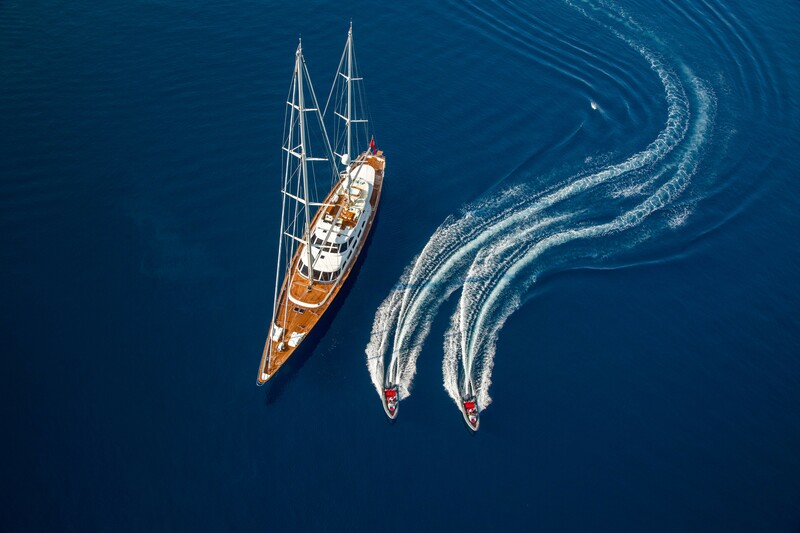 The beautiful 46 meter sailing yacht ANTARA (ex. 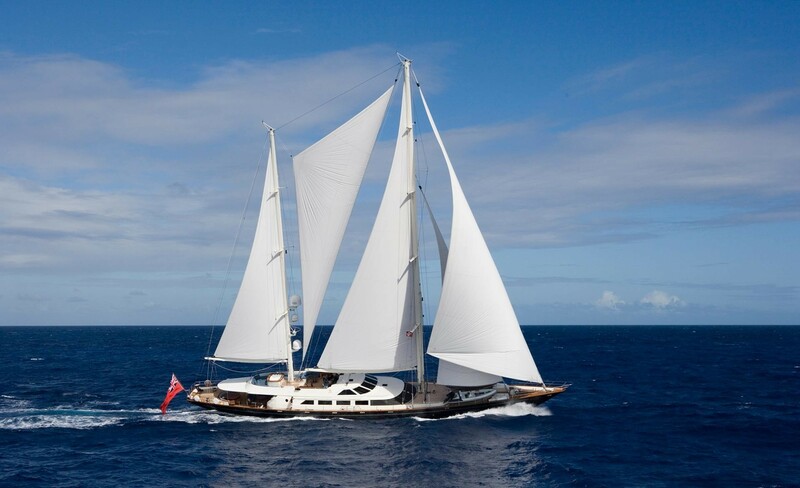 Tamsen) is an excellent charter yacht built by Perini Navi. 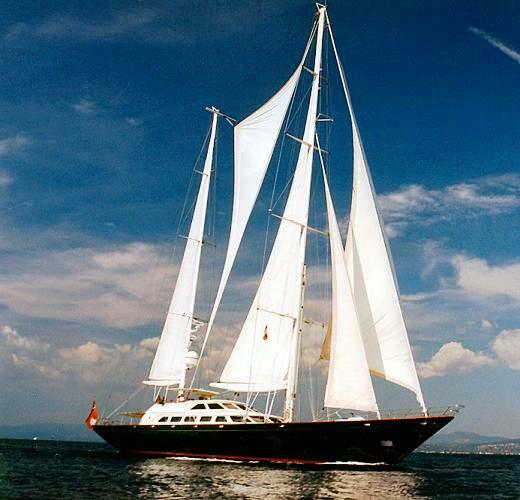 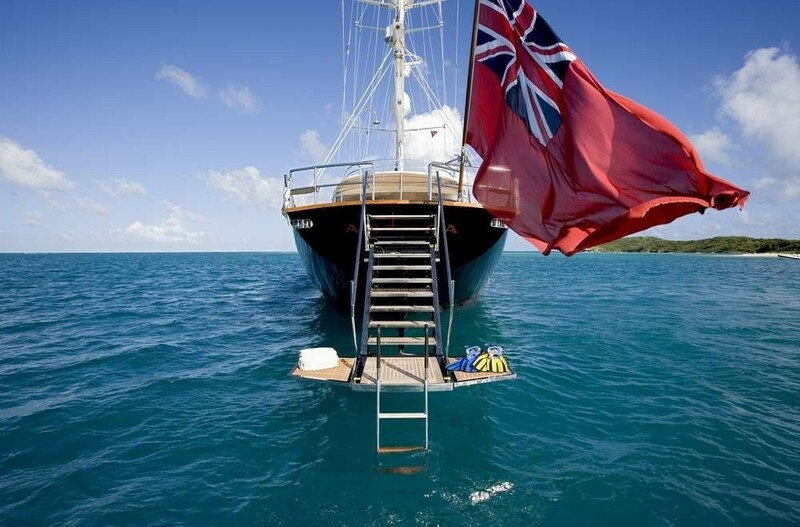 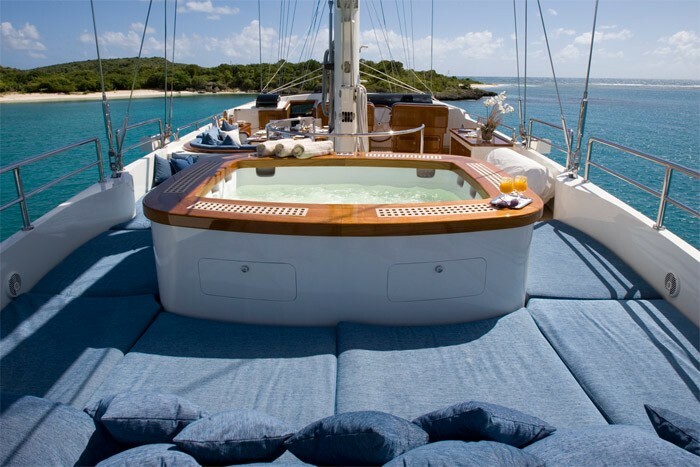 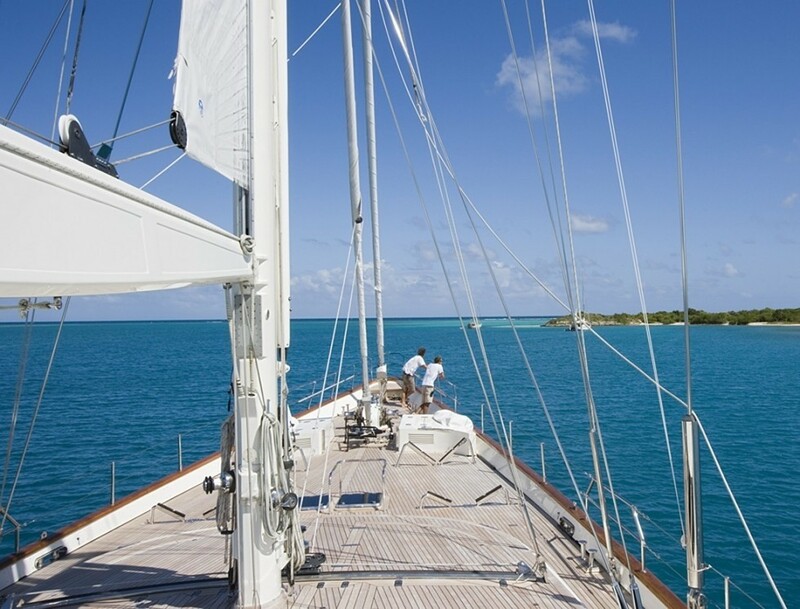 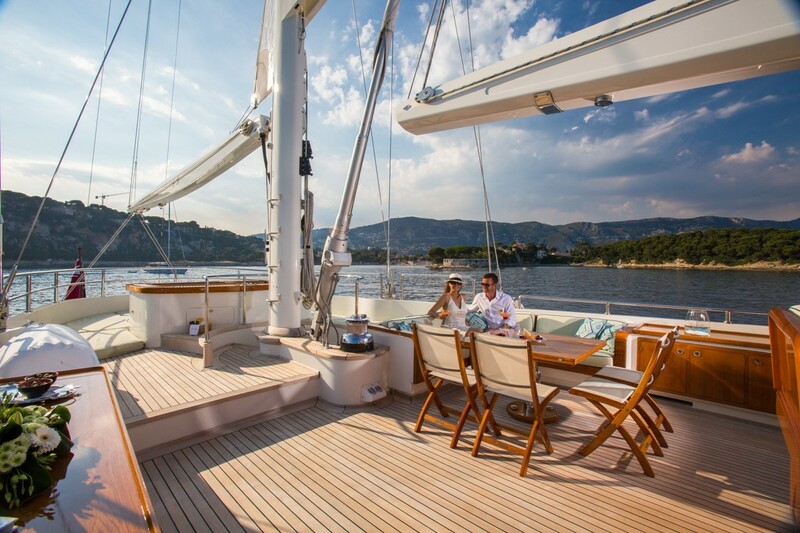 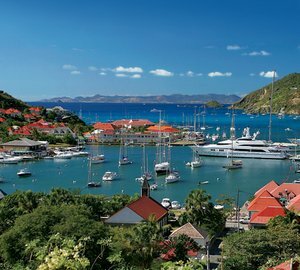 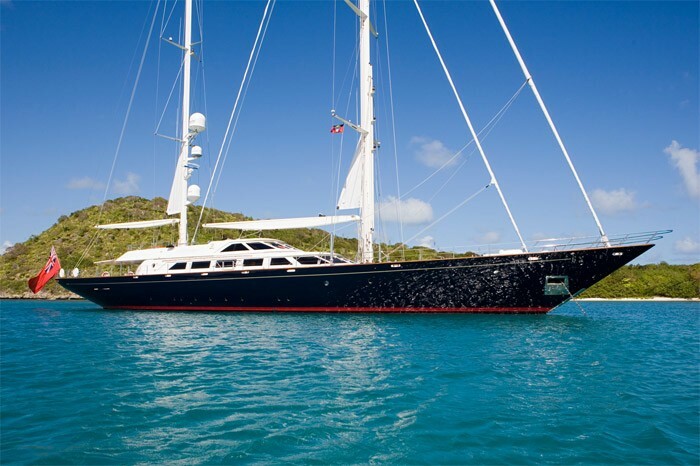 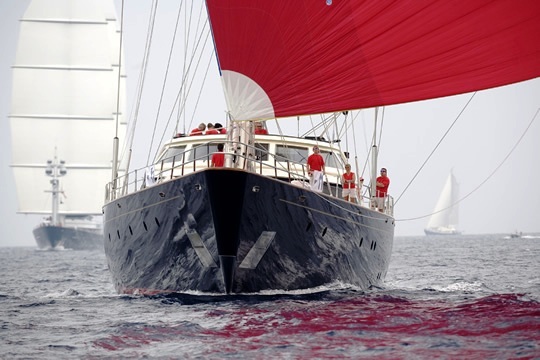 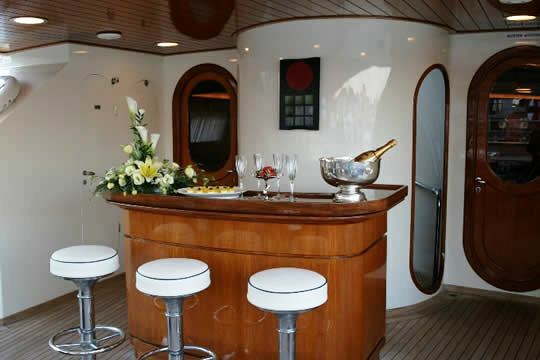 She is a classic beauty and the ideal cruising yacht for both the Caribbean and Mediterranean waterways. 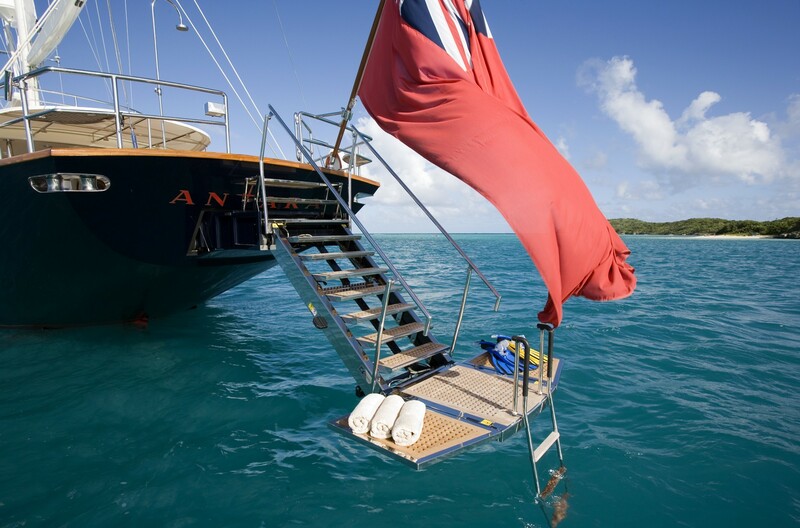 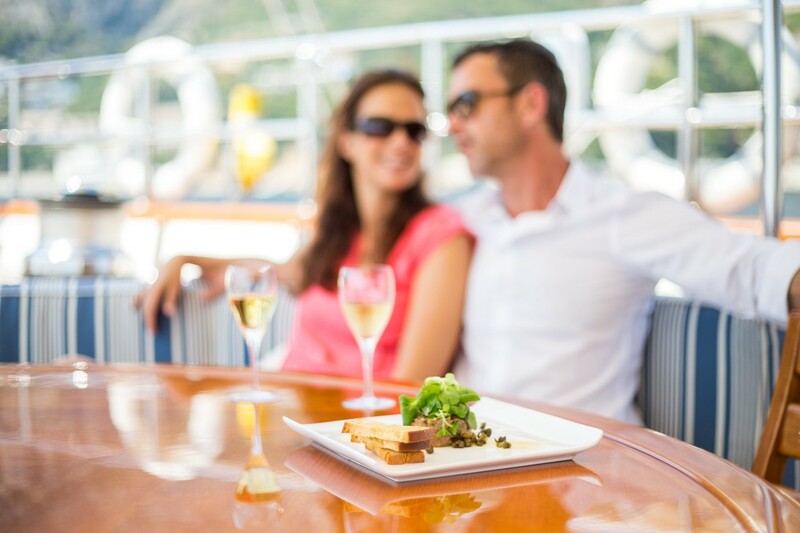 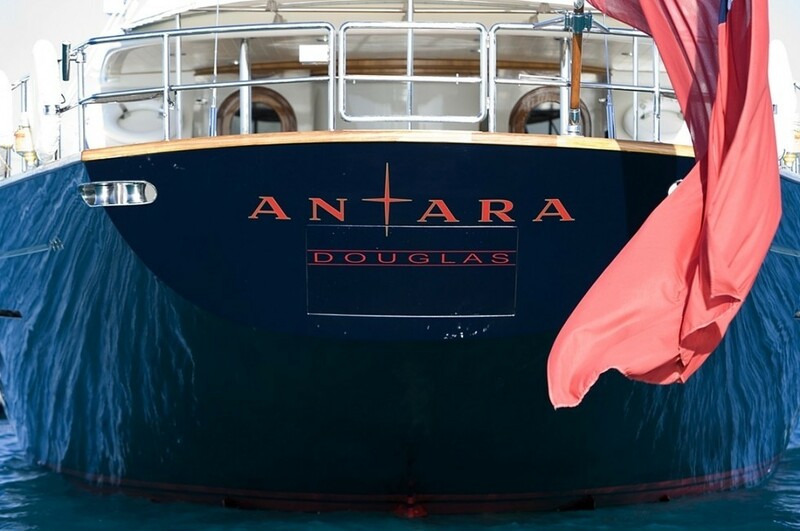 ANTARA is a real treat for those who appreciate comfortable cruising in style and luxury. 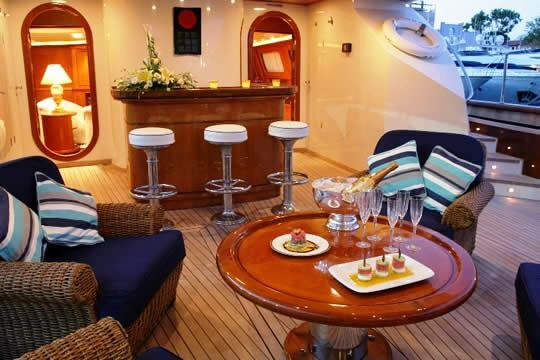 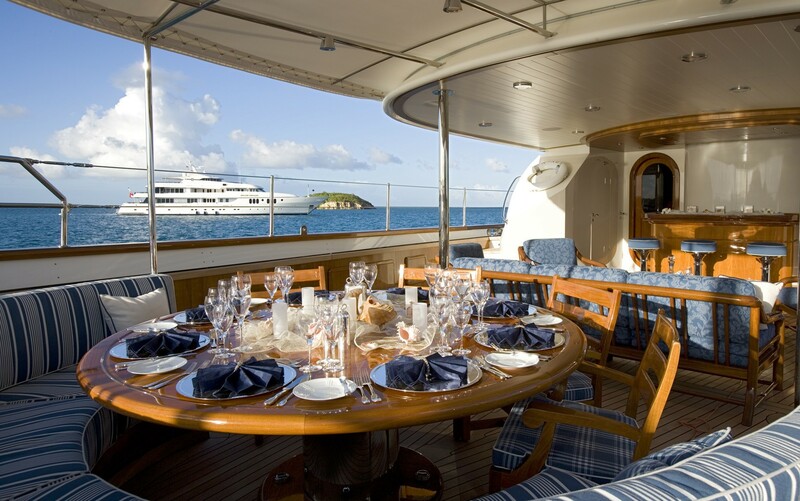 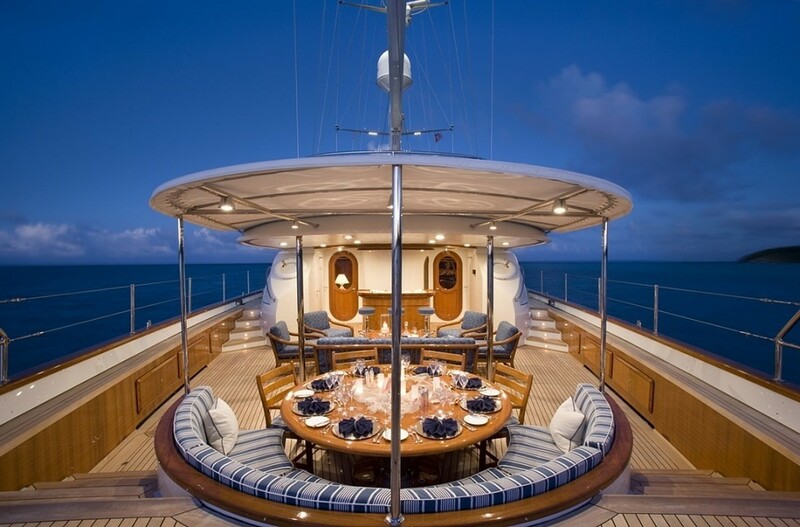 She can accommodate up to 10 charter guests in 4 staterooms including a master stateroom. 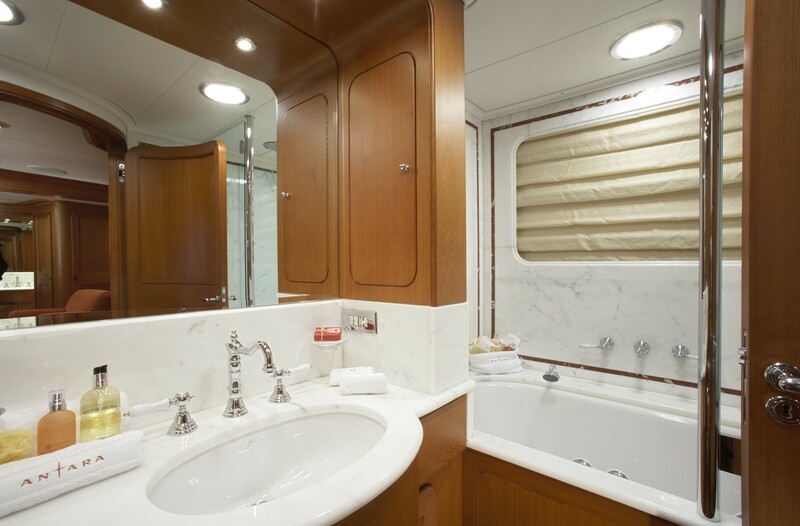 The Master has King bed, his and her steam shower and bathtub. 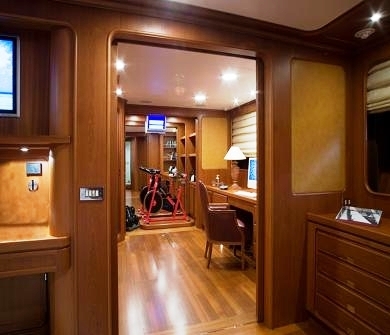 Adjacent office, computer, refrigerator and "gym" with spin bike. 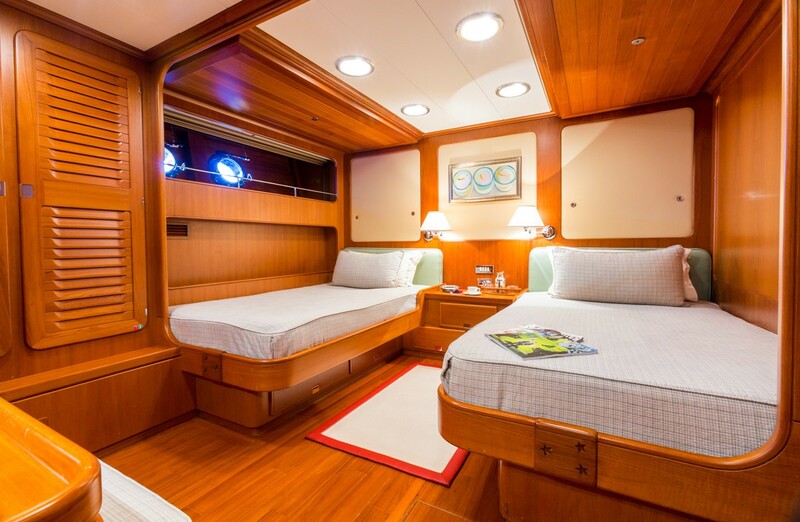 VIP has Queen bed and ensuite Shower. 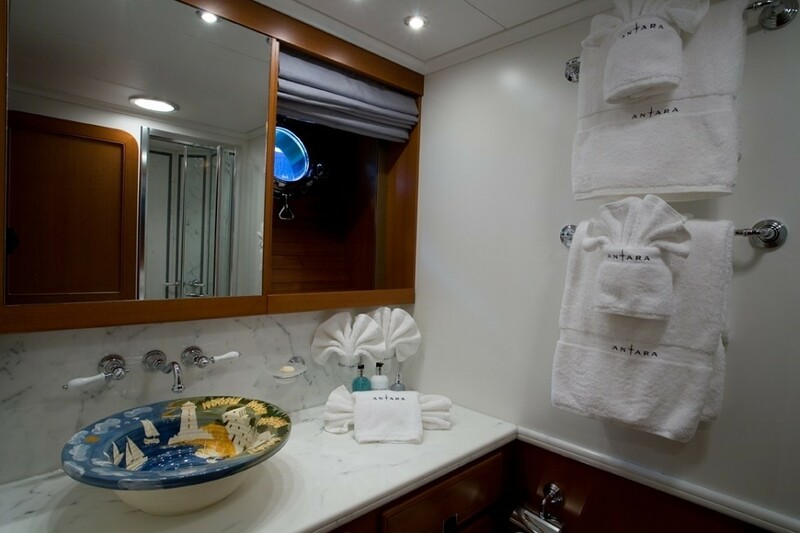 There ate two further staterooms with 2 twin beds each and ensuite showers. 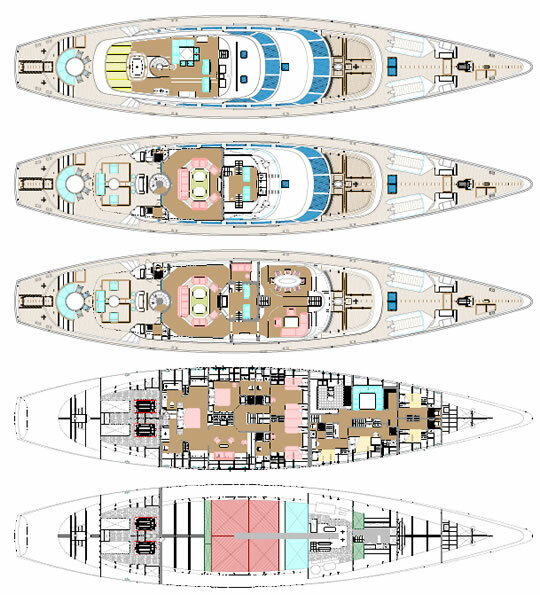 Refit details: 2004/2005 and 2006/2007 major mechanical refit; New owner 2005/2006 many upgrades. 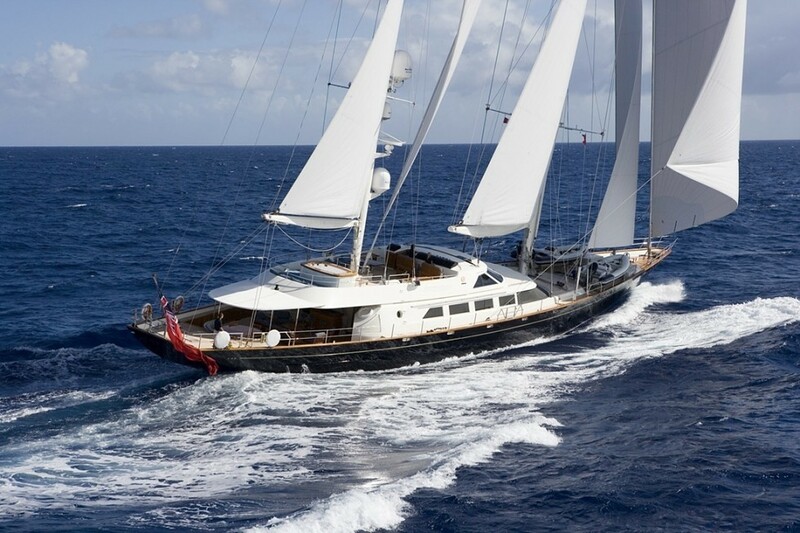 Undergoing extensive refit at Perini Navi Viareggio Winter 2006/7 to "better than new" condition with new teak decks, topside and superstructure paint, new sails, extended fly bridge/large Spa Pool and sun cushions, barbecue and new aft swim platform. 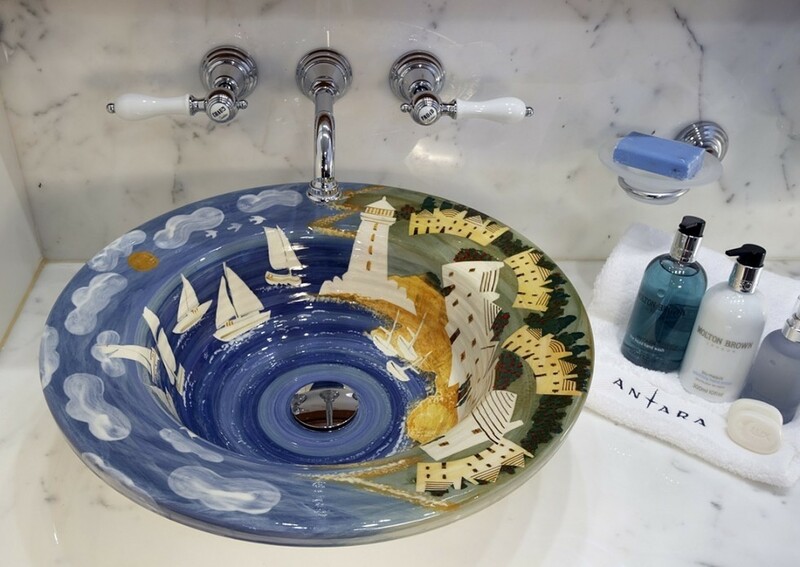 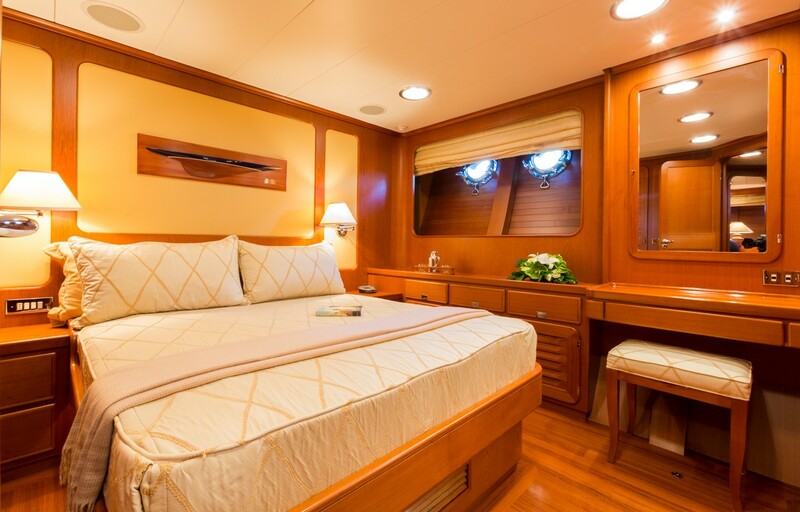 Underwater lights, also, new furniture, mattresses, upholstery and decor including marble top bar in Dining Salon and Exercise area in Master Stateroom. 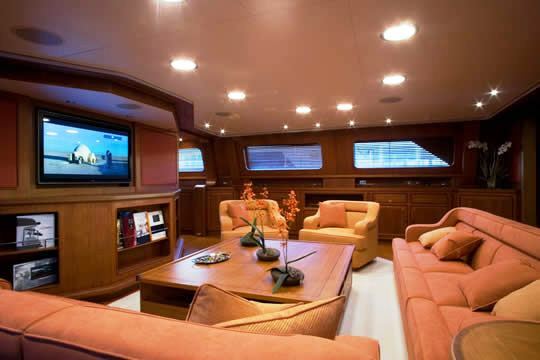 State of the art Kaleidoscope Audio visual system throughout and in Aft cockpit, VSat, wifi throughout. 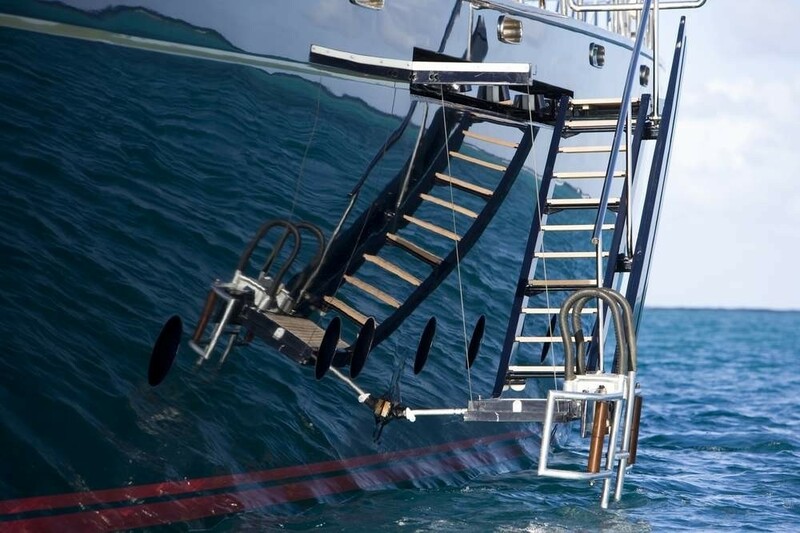 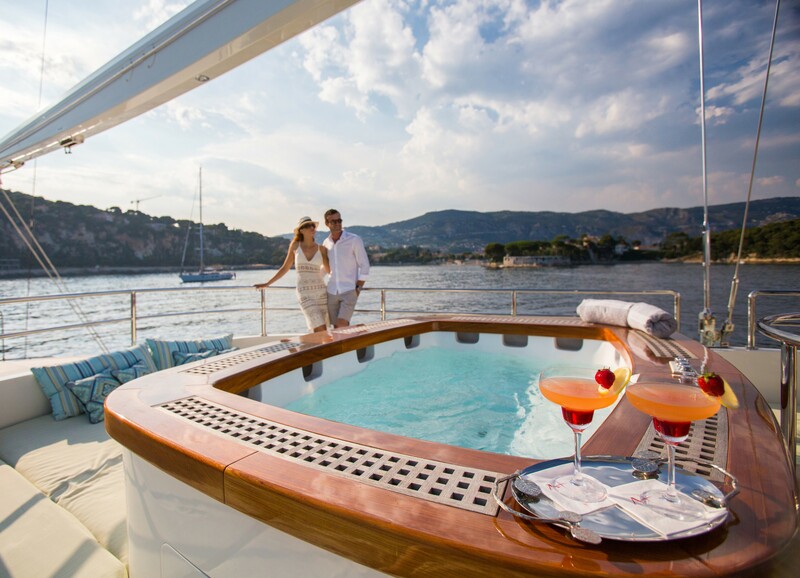 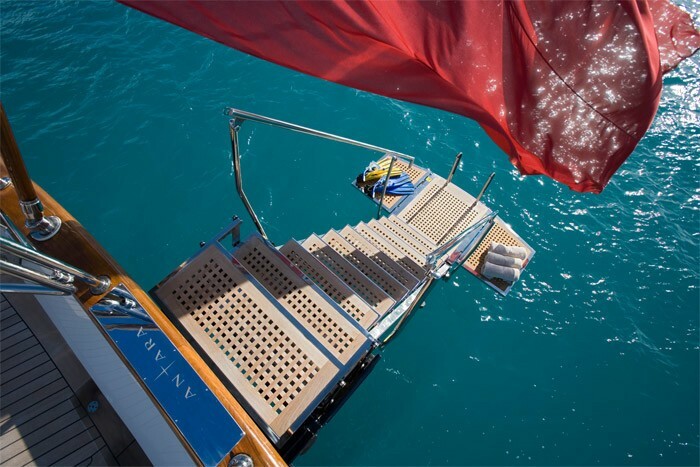 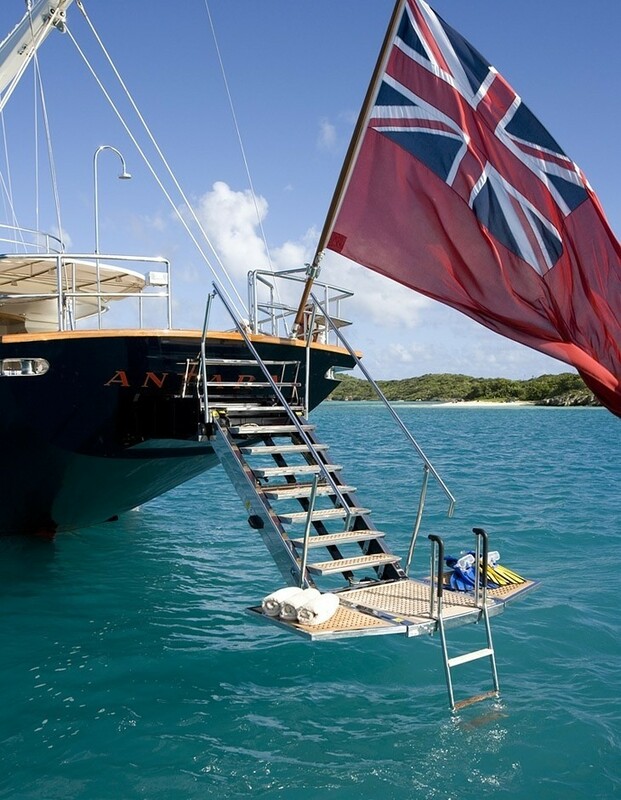 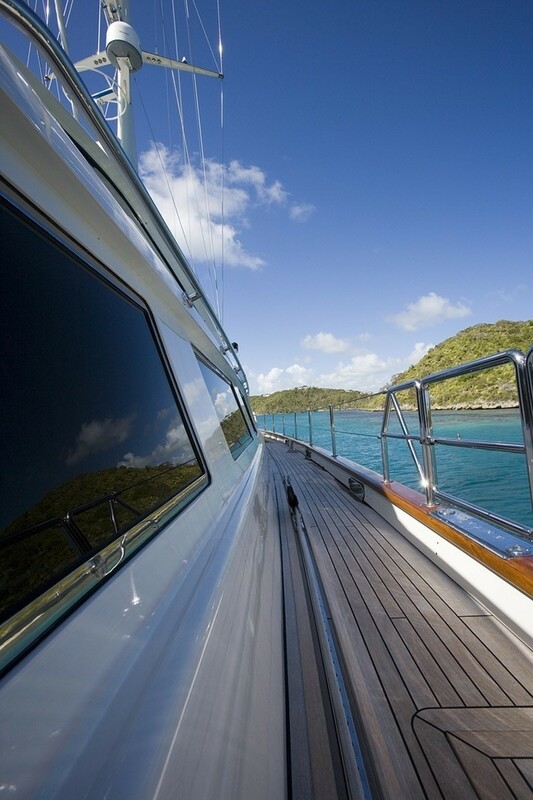 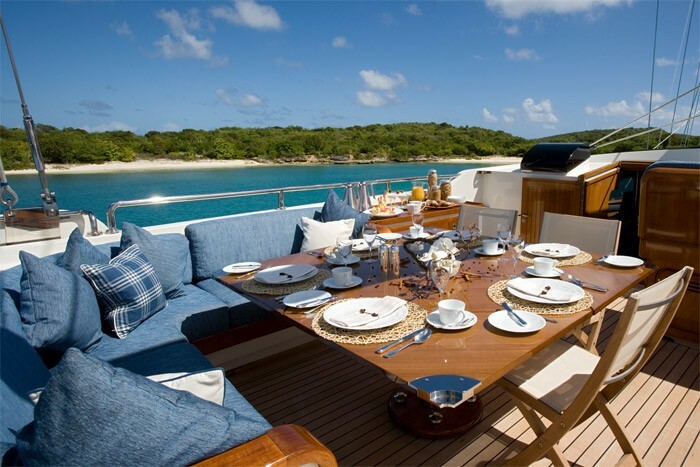 The yacht’s crew are professionals who are available to provide 5 star luxury service throughout the charter. 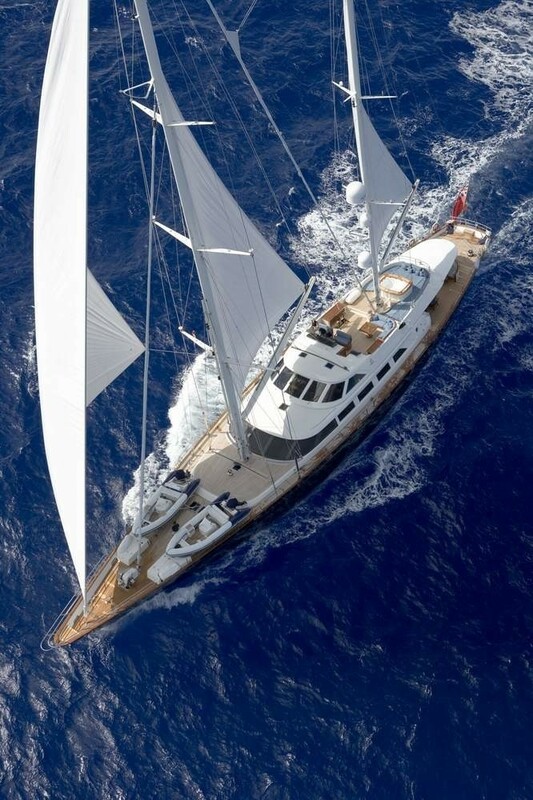 Please note that some photos are not current and she has undergone a steady refit and upgrade program. 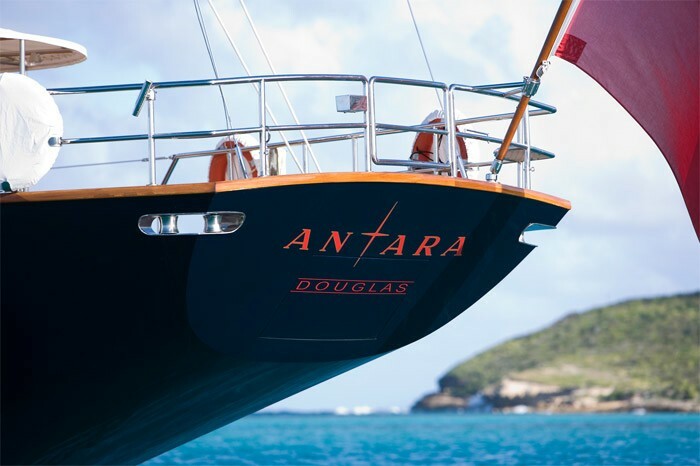 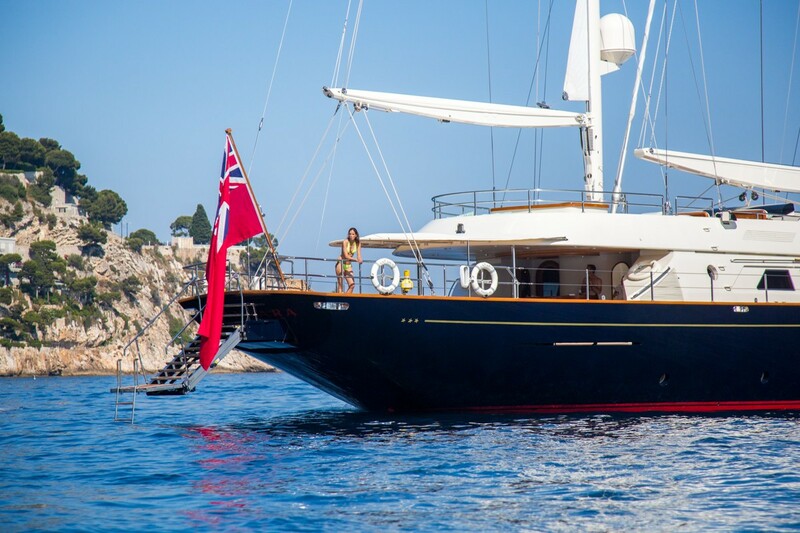 Please note that SY Antara is not offered for Sale or Charter to US Residents while in US Waters. 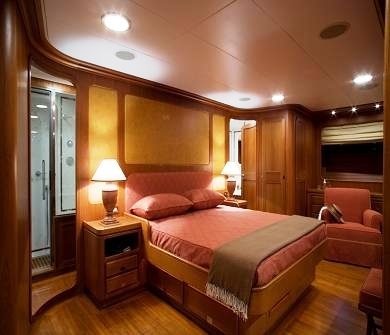 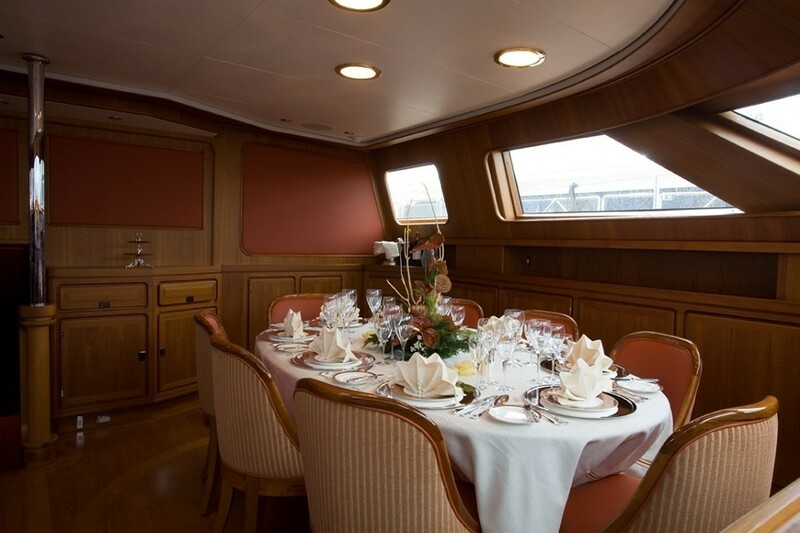 Guest Accommodation 10 guests in four newly varnished satin teak staterooms with ensuite heads. 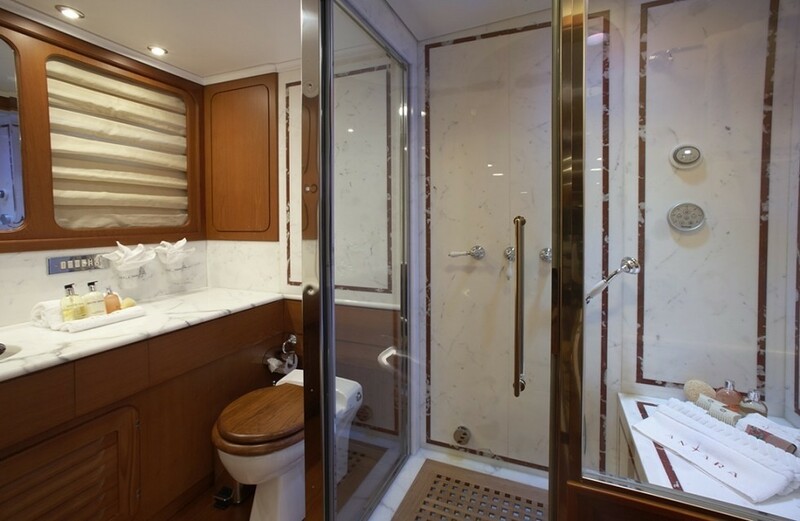 The full width Master suite with king bed, his and her bath and new steam shower includes a large office area and will include a stationary bike and weights custom fit into an armoire for a private gym area. 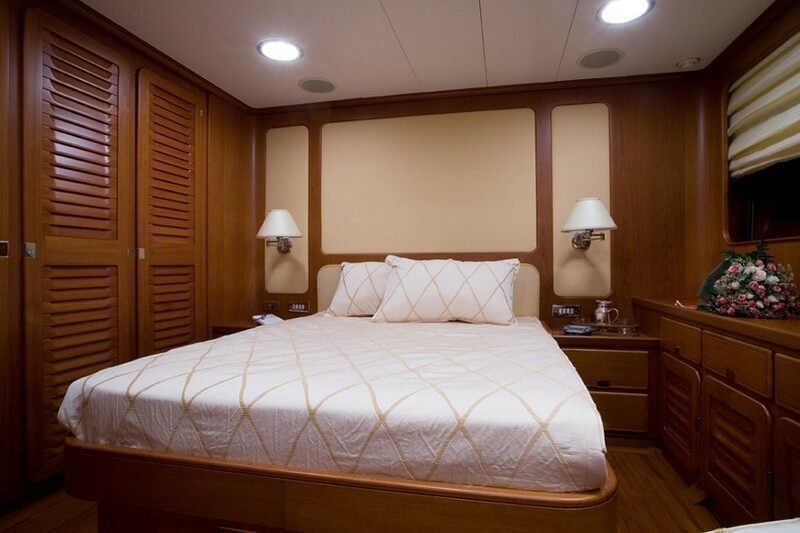 VIP stateroom with Queen and 2 twin cabins with extra large twin berths and pullmans. 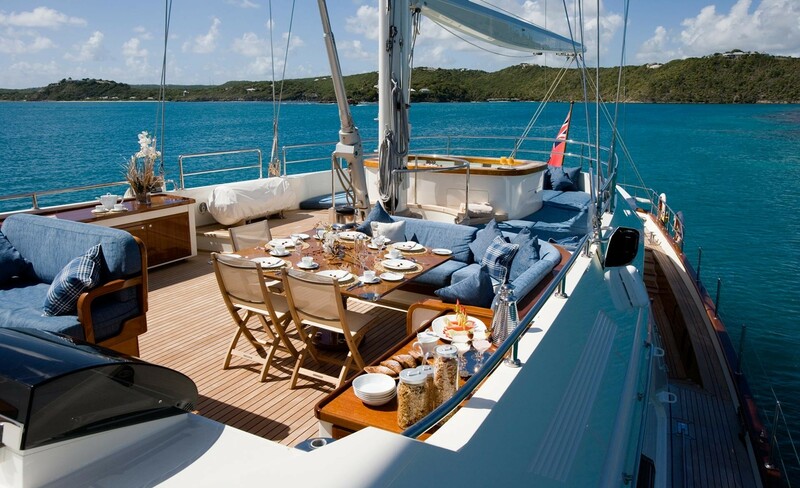 Very comfortable and elegant yacht. 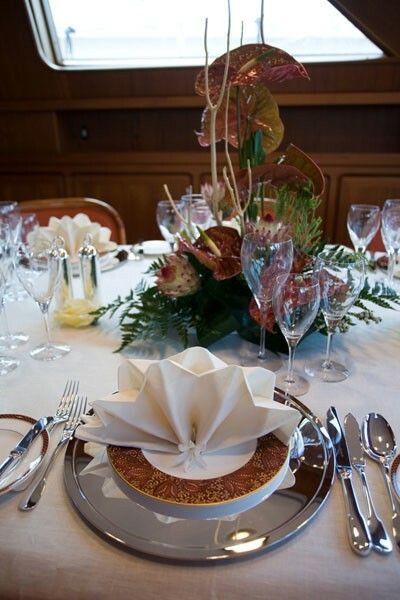 All new linens, marble and decor. 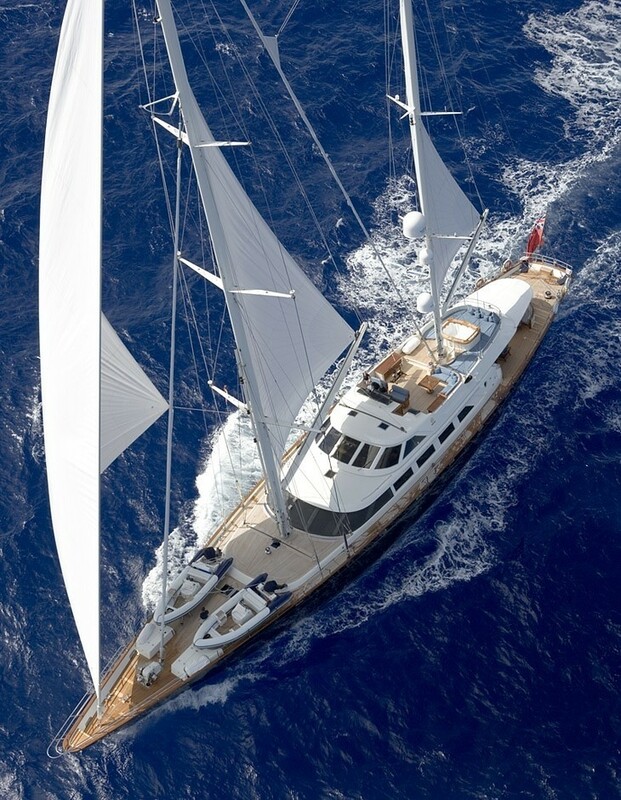 Sistership to Andromeda La Dea. 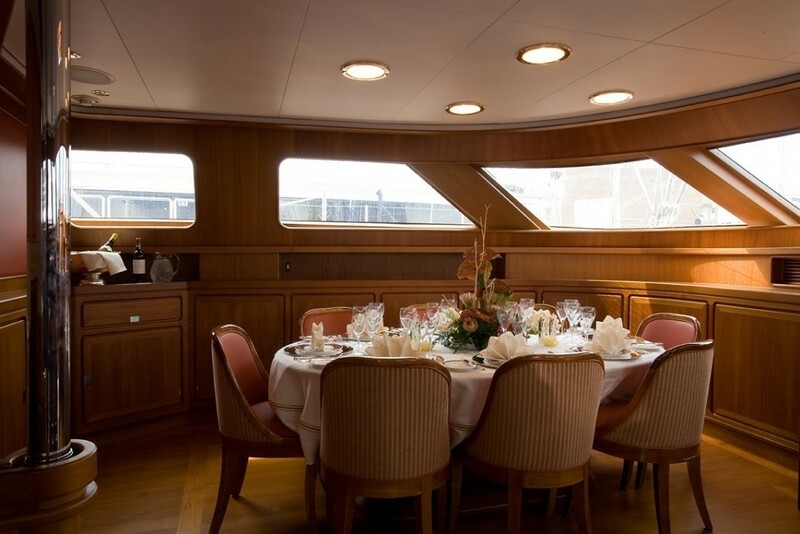 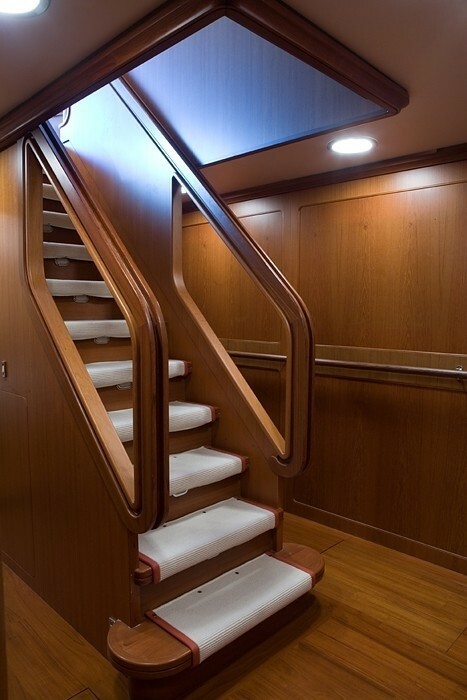 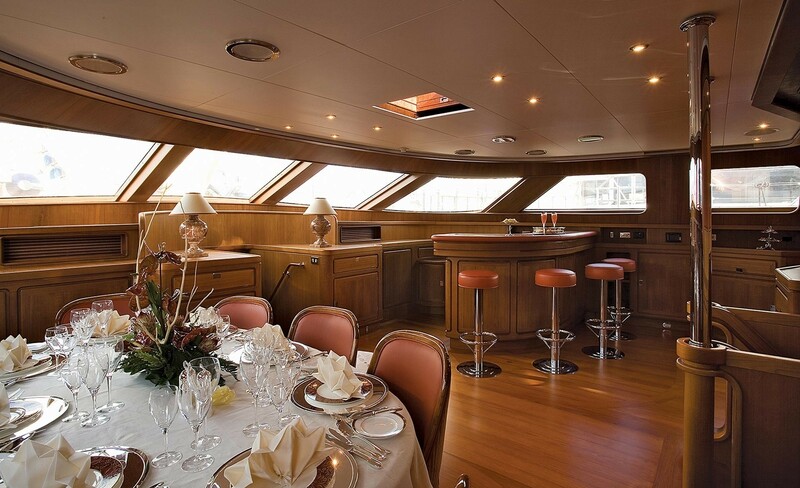 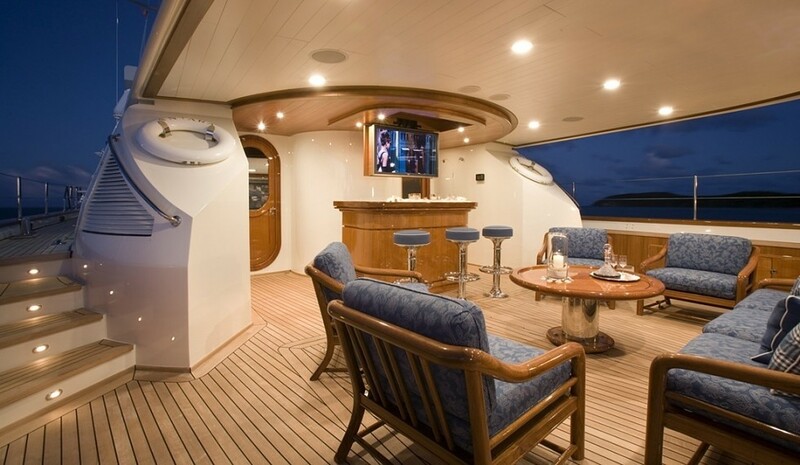 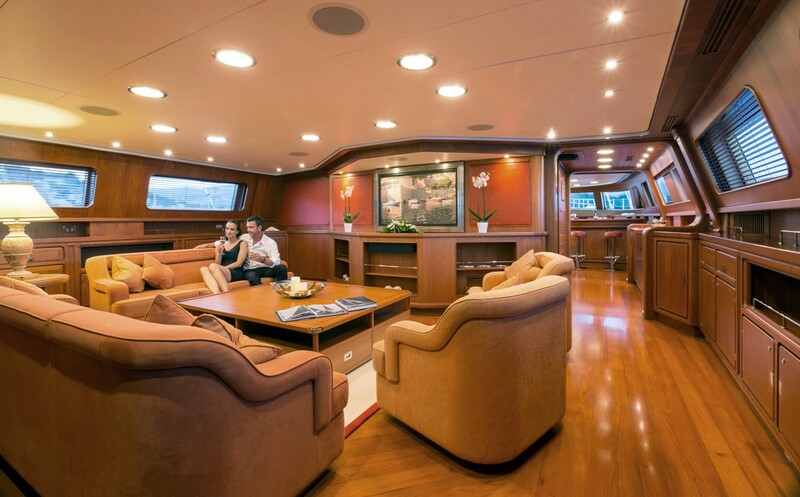 Extensive Refit of interior Winter 2006/Spring 2007 at Perini Navi. 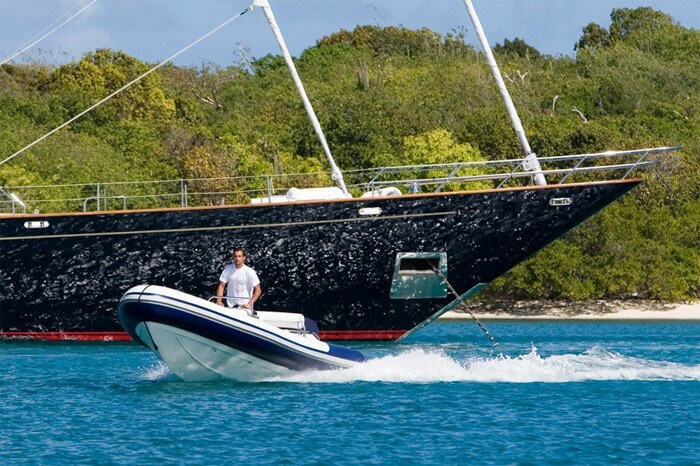 Tenders & Toys 2 Ribteck 535 Riviera Tenders with 115hp engines. 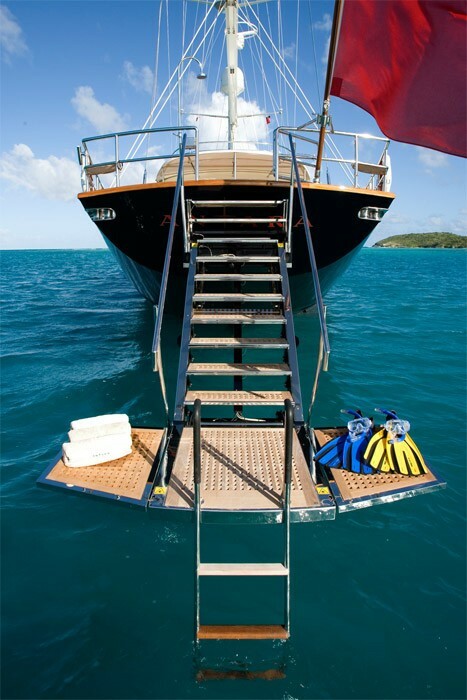 Snorkeling, Wakeboard, Inflatable banana board, various board games. 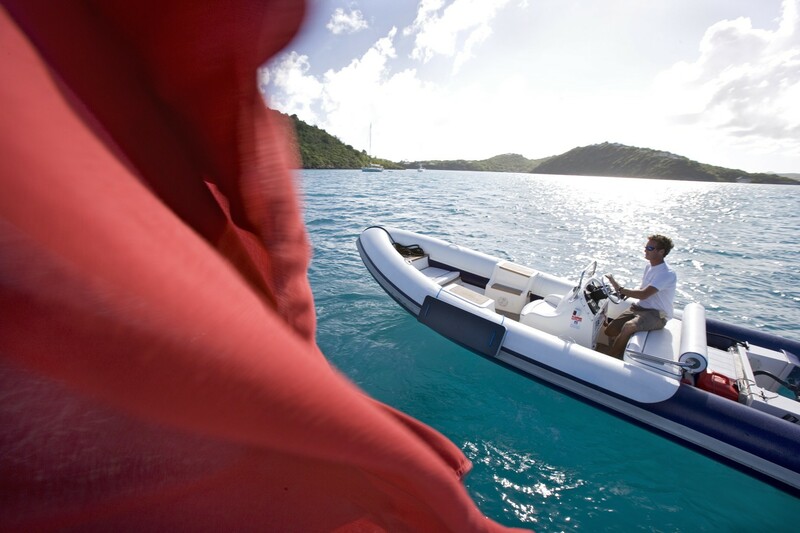 Kayaks, RS Feva hi performance sailing dinghy. 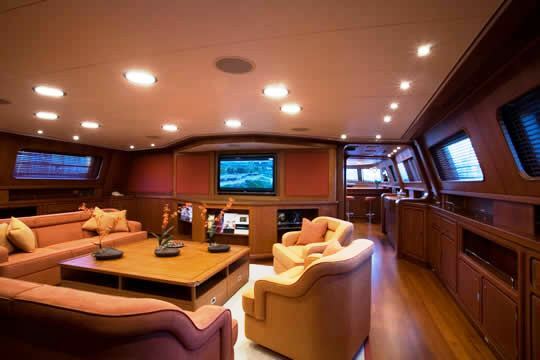 Audio Visual Equipment and Deck Facilities 2007 State-of-the-art Kaleidescope AV System installed. 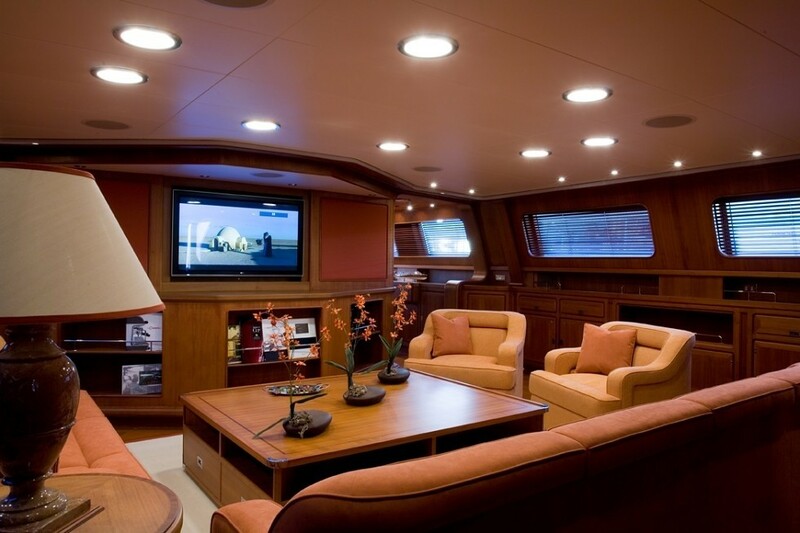 Sky TV, DVD in each Cabin and Main Salon. 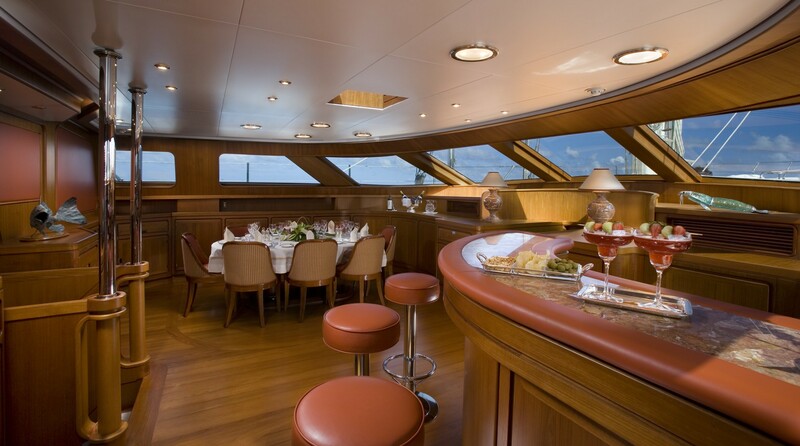 New large flat screens in Main Salon and in aft cockpit for al fresco entertainment! 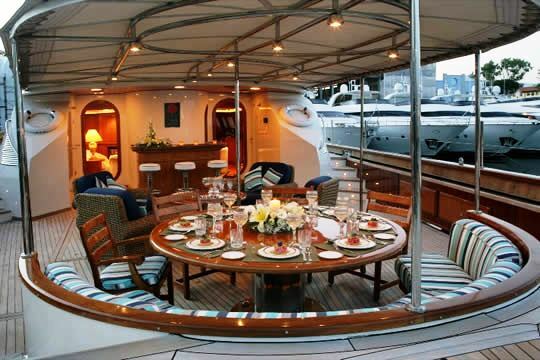 Fwd Deck speakers. 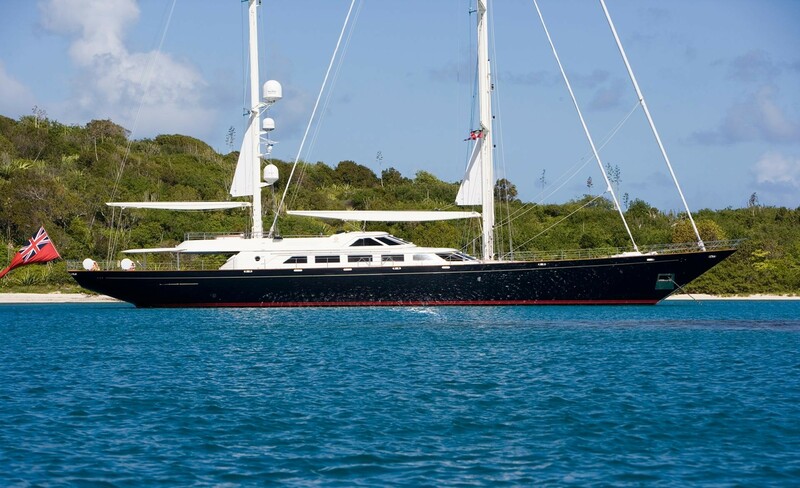 Communications VSat (always on internet),Sat F77 Telephone, GSM, Fax, Email.